Understanding a business analyst role is necessary to hire one for your business. Primarily, the role of a business analyst is identifying existing problems within a business. Once the problems are identified, business analysts suggest viable solutions to solve them. Moreover, they take the opinion of stakeholders into account, making solution implementations effective. What’s more, they even determine business requirements to enable better resource utilization, which is a skill learned only in the best business acumen training programs. To understand the business analysts role, the position’s main responsibilities have been provided below. But first, you must know the answer to the question “what is business analysis?” This is crucial to fully grasping the role of a business analyst. 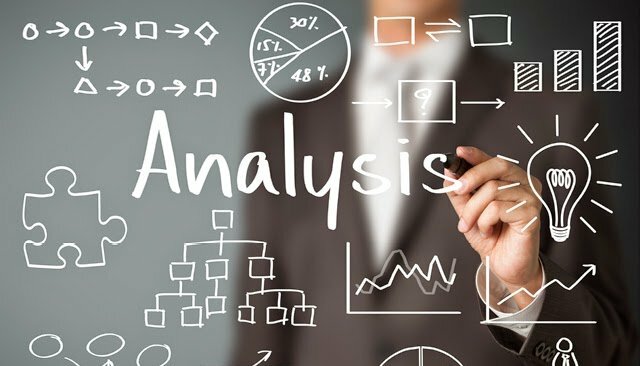 Business analysis is defined by the International Institute of Business Anslysis, or IIBA, as “the practice of enabling change in an enterprise by defining needs and recommending solutions that deliver value to stakeholders.” Therefore, a business analyst helps to enable change in an enterprise by defining that business’ needs and recommending solutions for those areas. However, that does not help us any in understanding the business analyst role’s day-to-day workload or how they make use of statistical software to inform decision-making. Keep reading. Business analysts are required to be team leaders. It comes with the job. Even in cases where the business analyst is not responsible for a formal team of employees to supervise, they will still need to be able to do it. There are many times in a business analyst career that ad hoc teams will be looking for direction and structure to do their jobs successfully. In those moments, a business analyst will need to step up to the plate and become a leader for those employees. This way, everyone can have a big picture image of the business and their role in its future growth and success. The first responsibility of a business analyst is recognizing business processes and business applications. To fulfill this role, business analysts closely inspect what a business does, getting to know the products and services on an highly detailed level. Next, they analyze the material procurement and production methods, depending on the type of business. In addition, business analysts find out how the different systems of a business function. Certainly, recognizing business process enables business analysts to perform other tasks of their role. The second task of a business analyst role is identifying all the stakeholders of your business. The list of stakeholders include business partners, suppliers, associates and external auditors. If you find a manufacturer in the future, they will also need to be added to that list. Additionally, professional business analysts identify the target audience as stakeholder of a business. This methodical approach of identifying stakeholders enable business analysts to study your business structure in depth. More importantly, identifying stakeholders gives business analysts the opportunity to look at problems from various view points. The third important task performed in business analyst positions is discovering the business needs. To discover company needs, business analysts conduct spontaneous group discussions, pop in on corporate videos production, manage brainstorming sessions and analyze related documentations. Plus, business analysts create focus groups including key stakeholders to review problems in details. In addition to all these steps, observation, prototyping, interface analysis and workshops are used by business analysts to discover business requirements. Undoubtedly, qualified business analysts will use several tools and methods to identify business needs. One of the main objectives of business analysts is reducing business operating costs. In an effort to lower business costs, analysts perform a series of tasks. Firstly, they assist employees focus on proper business requirements, increasing productivity. Secondly, analysts offer insightful information to make critical business decisions, further reducing wasted time and capital. Finally, the business analyst role includes finding cost effective solutions to various business problems. Certainly, all these activities cut down total business costs at an operational and managerial level. Last, but not least, implementing new solutions is part of the business analyst role too. That is why many business analysts come from the top business schools in the world. Basically, business analysts provide a set of change management principles, educating employees about a solution implementation. Moreover, business analysts offer the clarity, guidance and alignment needed to implement new solutions. Of course, their consistent efforts enhance solution implementation, improving business processes and profitability. Business owners should learn about the various aspects of business analyst role, making optimal use of their position. Every business analyst performs a variety of roles, analyzing business processes and discovering underlying problems. Afterwards, they derive solutions to these problems that drive decision making. Finally, the business analysts role offer thorough assistance in implementing solutions to increase overall business profitability.